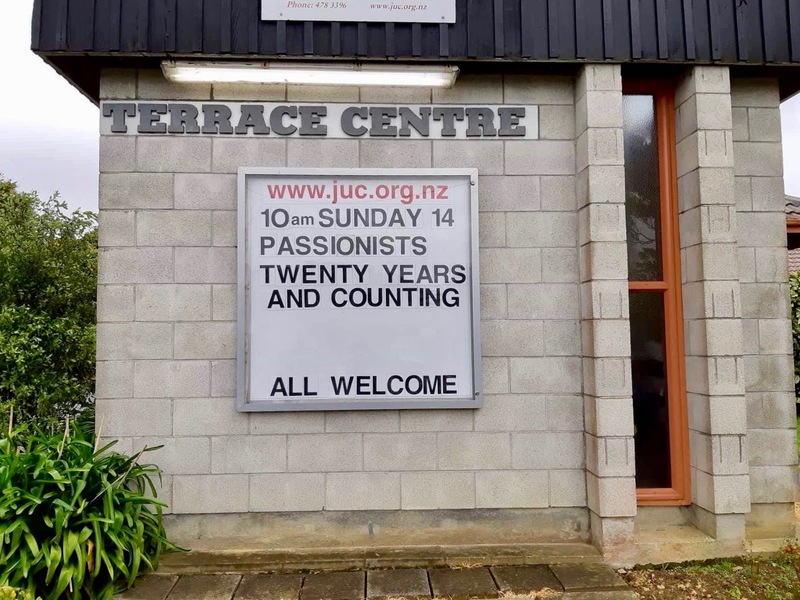 It is a pleasure to be celebrating 20 years of the PFGM in our Parish of Johnsonville Uniting. 20 years ago and on subsequent occasions, we’ve been without a Minister and our Family Groups have provided significant pastoral care. With valued support from the Regional Coordinators, Kerry and John Kleinsman, Mary-Ellen and John Leen and Fr Brian Traynor CP, Andrew and I became the Parish Coordinators and four Family Groups (the majority of the church) were formed. I can recall a number of very happy times we had with the ‘support team’. With the ‘ethos’ to ‘Love One Another As Jesus Loves Us’ we have continued to meet and share, even 20 years later, highly original, low cost, no cost events and to support and care for members between these events. A memorable, moving time for Andrew and I was to be asked to speak at St. Theresa”s in Plimmerton on our positive experience of establishing the PFGM in our Parish. At one time this would never have been possible. This has been a blessing for our Parish and whether we meet as a group of 5 or 25 we look forward to continued fellowship in 2019. Peter Bleakley a long time PFG group coordinator from Johnsonville died recently at the age of 90 – May he Rest in Peace. Peter wrote this poem when the Church celebrated the 10th Anniversary of PFG’s in Johnsonville Uniting Church. Ten years ago our development team considered having family teams, to live like Christians of ages past whose love for each other was unsurpassed. The Passionist Fathers with verve expressed, this Australian experience of families with zest! Our parishioners turned up in great numbers, in hope to initiate families down under. Like the love for each other of early church members. To find our leaders he had to ask. Bill Day and Sue were eventually called, to set us off and our programme soared. wine trails and picnics were our fare, Bowls, dance, barbecues and walks in sea air. We did things together that some hadn’t done; Yet to our surprise we enjoyed it as one. Our Passionist Fathers were of one mind, that no one’s excluded of any kind. Relationships ripen to such a degree, that fruit from this tree is for all to see. This works well as you can tell, by the smiling faces that spells all’s well. To form a community of love all can see, and that’s what God wants us to be. with hope we are full as we grow big and tall, by sharing our lives and loving all!